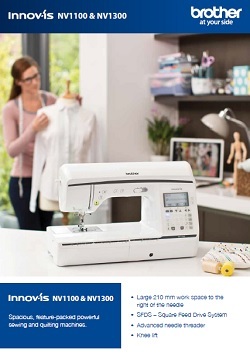 The Innov-is NV1100 is a larger machine with a generous work area – great for quilts. 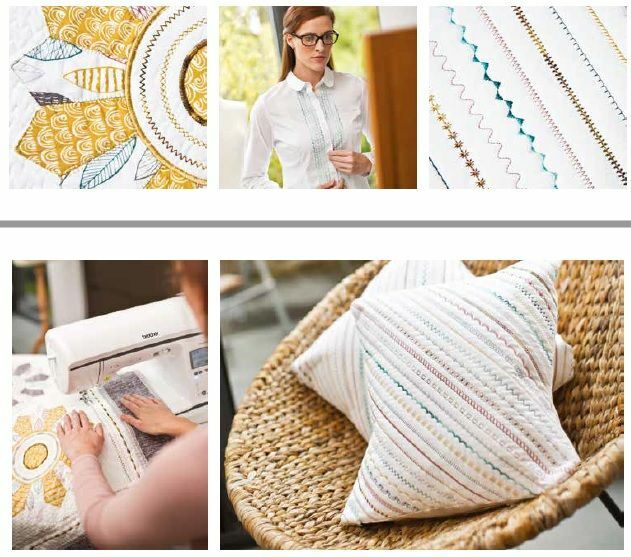 Other new features allow you to tackle a wide range of creative projects with that higher degree of control and ease that only comes with a higher quality machine. "The feed dogs come all the way up, fully coming into contact with the fabric at the start of the feed. 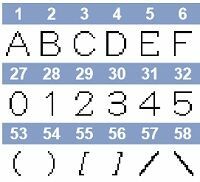 They stay all the way up right to the end and then drop down to start again at the beginning of the next stitch. It's a fabulous system and I love this feature the most. 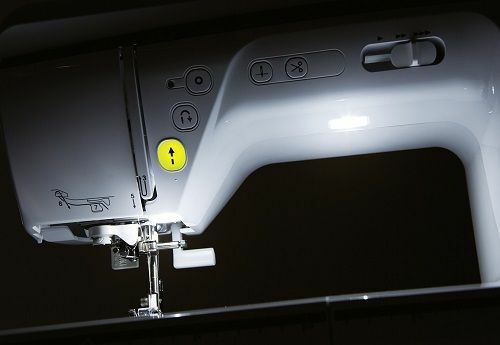 "The needle also has extra power for working through thick and layered fabrics, it's breezed through just about anything I've used it for. 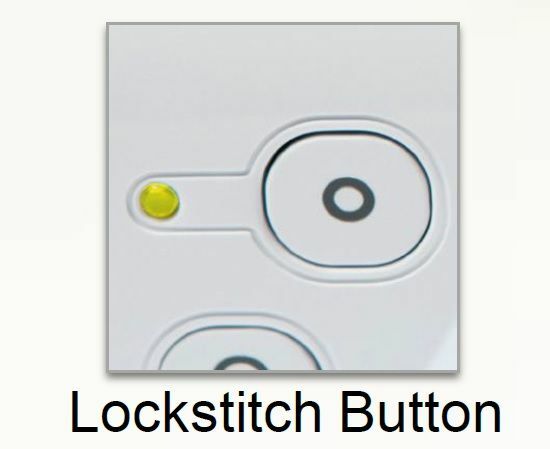 "I also like the lock stitch button which is especially useful when I'm sewing a decorative stitch, all I have to do is touch it when the machine is stitching and it automatically finds the end of the pattern without my having to guess where it is." With the needle stopping down in the fabric all you need to do is keep your hands on the fabric, move your knee to the right and the feed dogs will raise ready to pivot. 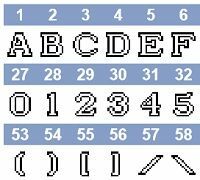 Just move your knee back to the left when you're ready to stitch in your new direction - simple but very useful! 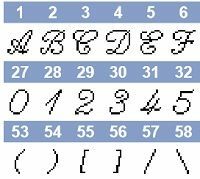 Perfect when piecing and straight stitching close to the edge of fabrics. 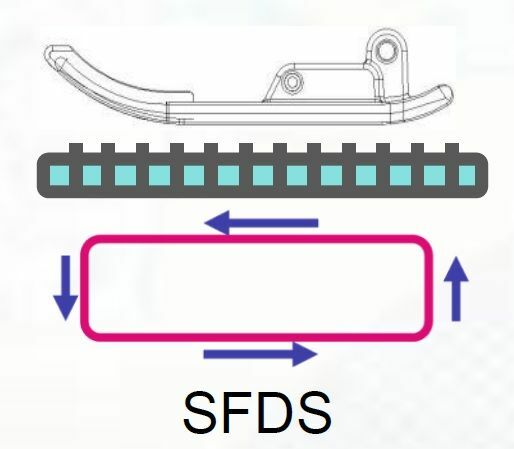 The straight stitch foot and needle plate fully supports the fabric and stops the edges from being pushed down into the zig-zag needle plate that is supplied as standard. We also like the thread stand which enables the use of larger cones of thread but is also much better for a smooth delivery of any thread into the machine because of the telescopic arm directly above the threads. It just fits neatly on the back of the machine after lifting off the top cover (you need to keep the cover handy because it has your stitch guide on there). Would you like to see it and have a play? 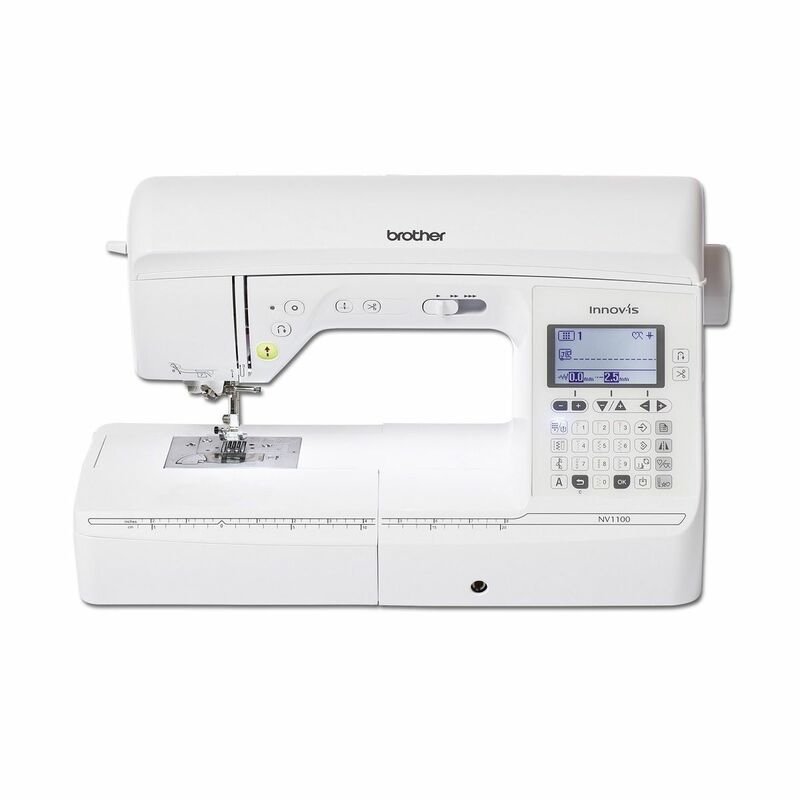 All of the machines on our website are also available for you to look at in more detail and see why they're so good - and there's never any pressure to buy at Lords Sewing. 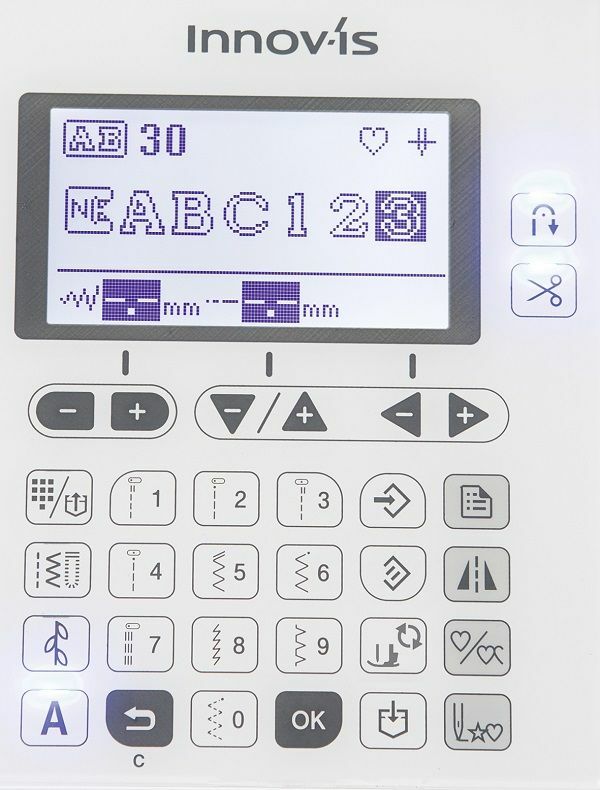 If you want all this plus Automatic Thread Tension and Sideways Feeding of the fabric for larger stitch patterns then take a look at the NV1300 model. Due to an accident to my 23year old Bernina I decided to purchase a new machine. 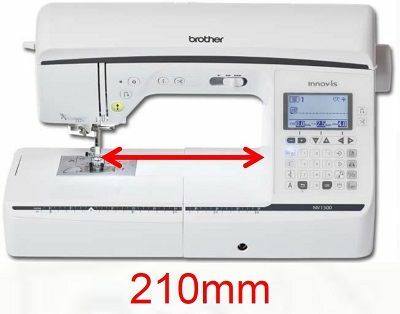 I already have the Innovis XV but wanted a good allround sewing machine without having to keep taking off the embroidery foot. After ringing Lord's for advice I was recommended the NV1100. I am absolutely delighted with this model. 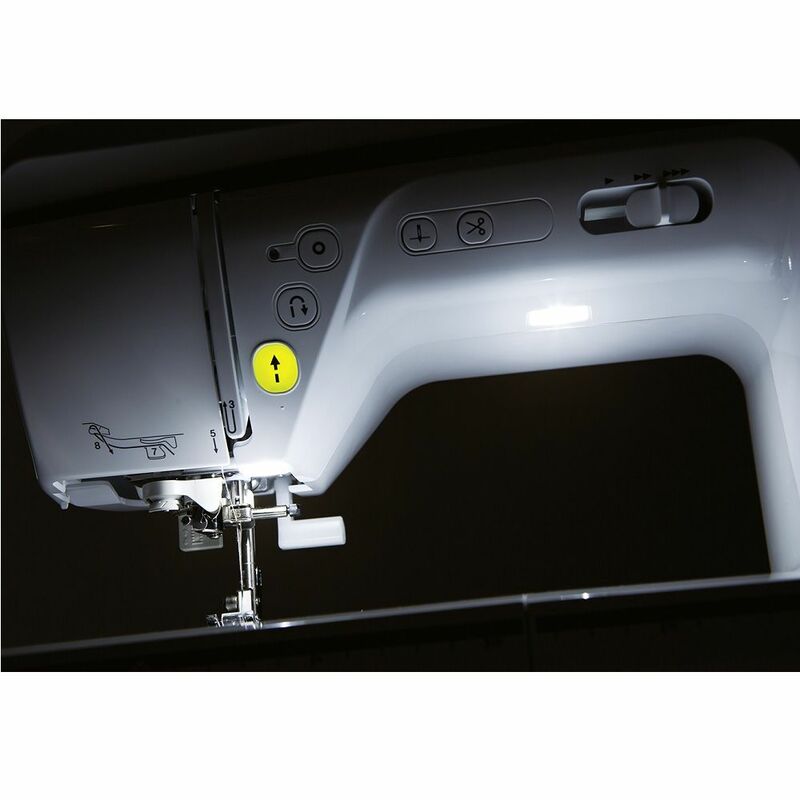 The automatic needle threader and thread cutting feature is brilliant. As I have a number of different feet for my Innovis XV and being a Brother a number of them are compatable with the NV1100. I would highly recommend this model.